In this chapter first the home life of the mining community is described and then the various social services which developed, mainlv by private enterprise, but later becoming part of a state supported, local authority run, welfare system. We have already seen how, after periods of overcrowding and primitive arrangements, housing, water supply, cheap gas and finally electricity were provided at a level which was superior to that in the larger mining areas such as the North East or Lancashire. Furthermore, as described in Benson's book,1 although there were serious health problems again they were not as severe in Poynton because it still remained a partially rural area which offered the benefits of agricultural produce such as milk and meat, good gardens and the products of domestic livestock owned by villagers such as a cow, pigs or hens and thus diet was far better than in the big towns. The miners also by the 1880s certainly had reached a higher standard of living than the textile factory workers locally in the towns or the agricultural labourers in Cheshire. However inside the miners' houses there were problems of many kinds. As we have seen in the early and mid-nineteenth century there were many large families including often grandparents or grandchildren and other relations and lodgers to eke out the family income especially where the head of the household was a widow. Because of somewhat different hours of work, and shift work, there was difficulty in providing meals at regular times. Often girls had to sleep in one room and boys in another since they had to retire earlier than their parents who with perhaps a grandparent or lodger slept downstairs in the living room. Washday in such cramped conditions was dreaded. Mining was dirty work and washing was in great quantity, often of garments of heavy material such as flannel. Items worn down the pit where it was hot, though not as hot as pits often were elsewhere, were often sweat ridden as well as grimy, and footwear wet. Drying often had to take place in the living room on rails hung from the ceiling near the fire, where it got in the way of normal life and frayed tempers. Water had to be heated in a large copper bowl or in the side boiler of the kitchen range which in the twentieth century might hold three to four gallons. The hard work of washing and wringing took place without the aid of washing machines in the small kitchen most houses had at the back. Bathing was also difficult in such short space. Walton2 says most cottages in the 1920s and 30s had a recess near the fireplace discreetly covered with a curtain in which was placed the "pit tub". This was either a barrel or a wooden box into which the pit clothes were placed before washing or bathing. Some miners washed from the waist up by standing at the kitchen sink as a daily routine and had a total wash at the weekend. It was a strange sight before the total wash to see members of a local football club with jerseys and white drawers above coal black limbs sprinting from the changing room! Others had a total bath by degrees in a galvanised bath on the hearth in front of the fire - awkward when visitors arrived as they had to slip hastily behind the curtain. The side boiler had to be filled with a lading can from the kitchen tap - as corrosion often prevented the use of the tap to take water from the boiler. Many households collected rain water in tubs as it was much softer for washing. The greatest advantage the miners and their families had was plenty of coal distributed free from the colliery- They had to pay for the cartage. Maintaining the fire was important - slack mixed with the larger cinders was put on the fire at night by the boys of the families who riddled the grate and emptied the ashes outside. A sprinkling of water from the tea pot made the fire last even longer though it looked apparently dead. Next morning the first riser cleared the bars and got the fire going with the aid of a draw tin shaped to fit the grate which increased the draught at the bottom. The kettle which had been left by the fire overnight was soon producing boiling water. Food was as always important - but especially for men whose hard physical efforts consumed so many calories. According to Walton the staple breakfast was toasted cheese "something to stick in the ribs" on large slices of bread. This was often produced in a Dutch oven which was a concave tin dish with hooks to hold slices of bacon, the fat from which dropped on to the slices of cheese at the bottom of the tin. The oven hung from the bars of the grate and each man took his "shire" or slice of bread and plastered it with toasted cheese from the oven, sprinkled pepper on, and with a slice of cooked bacon returned to eat it at the table. He had as many slices as were needed to fill him and provide enough protein and energy until his afternoon meal on returning home. While at work the underground miner took with him a large water bottle (at least 2 quarts) carried in a large inside pocket sewn in his jacket. The food he took underground was mainly jam butties usually made with home made jam or currant bread. Savoury foods were unsuitable because they lost their savour in the pits. The food was liable to attack from mice which came into the pits in the corn for the horses. After a day's work the miner needed a large meal to restore his energy - usually large heaped plates of mashed potatoes with meat and appetising gravy followed by a large pudding, either milk and rice or boiled fruit pudding with white sauce ("flour dip")- Walton says this was "shovelled" in with a spoon. "John Ridgway's cottage, already noted, in Park Lane had in the front sitting-room a good iron fire grate with oven, and grates were also in the back-room and in the front-room above In the sitting room was a chest of mahogany drawers, a good eight day clock in mahogany case, six rush-bottomed chairs, a child's cradle, three tables, a bird and cage, a mahogany corner-cupboard well filled with glass and crockery. A gun, a good oak sofa with loose cushion, several small pictures, with fender, chimney-ornament, etc. completed the furniture of this apartment. In the kitchen were a number of washing-mugs, with milk-basins and a small churn, a table-stool, and shelf with bread, butter, etc. ; upstairs were two beds, with good and clean bedding, with three chairs and a small table. John Ridgway says, that he can earn on an average 22s per week,- works eight hours per day,- he buys his own flour by the load of 14 scores, for which he pays from 46s to 56s, anid bakes their own bread; a load lasts seven weeks; has not had more than 1s worth of butchers' meat per month; buys half a pig from his wife's father, which they cure and make into bacon; they keep a cow, which keeps them in butter and milk, a little of which they sell occasionally; the family eat porridge in the morning, made of oatmeal, with milk to them. Use about 1 lb. of sugar per week, 1 oz of tea, and about 2 lbs. of cheese; use about 1 1/2 lb. of soap and 2 lb. of candles per week " used for lighing at pit and at home. Other examples are given in an article in the Poynton Local History Society Newsletter No. 2. One of our interviewed miners recalls his mother baking bread for his large family of two sisters who worked at a mill in Bollington and six brothers who all worked in the pits. Her currant bread was very popular. "That clogger attended the little Methodist Chapel each Sunday (Booth Green) During the afternoon service he sat beside a slow combustion stove and slept soundly through the sermon, who could deny that his rest was well deserved?" One of our interviewees recalls the valuable services of Henshaw the clogger. The Co-op had a full time boot and shoe repairer. The miners put their dirty boots or clogs in an outhouse or the yard as there was no room in the house. Most cottages had several different outbuildings for coal, toilet, sometimes a pigeon loft, a shed for cleaning and storing miners' tools. The girls who set off in the early hours for the mills also wore clogs and shawls to keep out the cold. Raising a family and coping with illness in such cramped conditions was difficult and laborious. Hence most women gave up work on marriage to a miner. However, because wages were sufficiently large from the 1880s and regular, and older sons often brought in money, the wives felt assured of a sufficient economic status. Walton says Bollington girls preferred miners as husbands for this reason. Things however became more difficult in the economic depression in the 1920s and at the times of the long strikes. Isolation in childbirth in the home was very difficult for the mother and in the early period inadequate medical attention was available. There was a good deal of help available from neighbours at times of childbirth and during illness. Childish infections were very common, infant mortality was very high and illnesses not understood properly. The young girls had a great deal of work in the home helping mother to clean and grease boots, filling the grate with coal, scrubbing baking boards, rolling pin and potato mashers, and cleaning the house. Shopping was probably better in Poynton than in the areas where truck shops operated as there were several independent grocers and butchers as well as a flourishing Co-op grocery, drapery, butchery and bakery from the 1860s. By the latter part of the nineteenth century much better education was having its effect on care of children, the importance of cleanliness and the isolation of infectious cases. Miners' families were sometimes large - even up to 11 or 12 but the average was far lower as the censuses for Poynton show. Benson gives a figure of 4.23 children in 1911, and shows that this was a lower figure than the five or six in 1800. Walton shows how important superstitions were in home life. The accidents and deaths were frequent enough to create a fatalistic attitude and a personal fear in the family every time a man or boy left home to work at the pit. Word soon passed round or the horse ambulance from Towers Yard might be seen taking victims home, and doctors were frequent visitors to the home. Some believed in extra sensory perception of forthcoming disaster; men sometimes because of warnings in dreams or pictures falling off hooks did not go to work. The rattle of returning clogs at night often brought heartfelt relief. Walton thinks pictures fell and other disturbances occurred because of the frequent slight subsidences that were taking place as more and more coal was taken out. If a man was killed in a pit no more coal was mined that day, and the miners due to come on other shifts were warned to stay at home. The richer classes had plenty of help in the home. By 1841 in Woodford there were 13 female servants employed at the big houses, in Adlington 32 female and three male (15 at Adlington Hall) and in Poynton 22 female, six male, many of whom served the Vernon family. These increased in numbers as more rich people settled in Poynton and many of the larger farmers employed domestic servants. "Mr. Warren (i.e. John Warren of Poynton Hall) gave timber, J. Boulton 10 thousand bricks, ye rest of ye charge was borne by ye town (i.e. township of Poynton). No endowment. Right of nominating the master supposed to be in ye Lord of ye Manor". The master at the school in 1725 was Randle Jannion who was also Clerk at the Chapel then situated near Poynton Hall. He was succeeded by Peter, possibly his son, by 1757 and Henry, son of Peter in 1782. It is not known where the school was, but probably at Poynton Village or Poynton Green, where the township also had a poor house. The 1849 survey refers to "the old school and yard at Poynton" of 484 sq. yards. "How many scholars have you? - We have 62 children from five to ten years old; I had as many as 96. What age do they generally leave you? - Generally they are about eight years old; if I have them till they are ten it is as much as I can expect. Do you think that all the children of the village are sent to school that ought to be? - No, I do not; if all the children of that age in this neighbourhood were sent to school, we then should have nearly double our present number. What are the terms of your school? - Any child is admitted who gets a ticket from Mr. Littler, the clergyman; the only stipulation is that they will send their children regularly to school. The books and instruction are given gratuitously, except the copy-books, and there are half of these given gratuitously too. The children pay a halfpenny a week, and for this halfpenny they receive each a pair of shoes at Christmas, which would cost one penny a week, so that it is merely a nominal payment. One would suppose, then, that the people would be very anxious to send their children to school? - By no means; they are very indifferent about it; and they even think they are conferring a favour by sending their children to school I have been frequently told by the parents that their children may either come or stay away as they please themselves." Seller attributed this lack of interest partly to ignorance, partly to the parents' "anxiety to obtain the wages of their children's labour", partly to poverty, e.g. lack of shoes and clothing. The small charge was enough to put some people off. Probably although no very young children or women worked underground in Poynton there were, before Parliament prevented it, small numbers of boys of eight or nine and ten working in the collieries. By 1847 the government had begun to assist church schools giving £130 for salaries of the staff consisting of Seller, a mistress in charge of the girls, an infant mistress, two assistant teachers and eight boy and girl apprentices (monitors) for the 120 boys and 150 girls now in the school. Lord Vernon contributed £154 to the cost of running the school and there was a small income from fees. Thomas Ashworth reports that the school was having some considerable success in improving the number who could read and write from 23% of men and boys working underground in 1837 to 50% of the population over 5 in 1848. There was an increasing need for better separate accommodation for girls and infants. 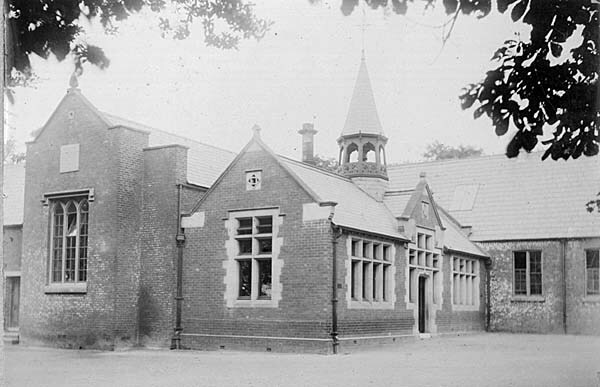 An extension opened in 1850 more than doubled the size of the school and gave an additional hall with separate heating, the infants being partitioned off at the southern end. There were on the opposite side of Park Lane houses for Seller and Alice Bateson, the head of the girls' school. A plaque, still in the new hall, shows Lady Vernon as the benefactor in honour of the coming of age of her son, Augustus Henry. Both the halls were split into teaching areas so that the head could keep an eye on everyone, the staff consisting throughout the nineteenth century of only two or three professionals assisted by monitors chosen from the oldest boys and girls, and from the 1860s pupil teachers under a state training scheme. In 1853 there were 120 infants, showing the large number of young families, 112 boys and 126 girls. Meanwhile there were private boarding schools in Poynton in the 1820s and 30s for the children of the rich. Francis Figgins, later John Haynes, was headmaster of an "Academy" for boys probably at London Road North near Poynton Village, since the boys had access to the Park for recreation, and Mrs. Catherine Owen, later Mrs. Harrier Haynes, was headmistress of a "seminary for girls". A mainly classical education was given including English language and composition for large fees such as 30 guineas per annum. There were also long established grammar schools at Macclesfield, Stockport and Manchester. The number of boys in the Vernon school rose gradually from the 1860s, 70s and 80s to a maximum of 200 in 1896, then fell again to the 160s and 170s up to 1920 and was about 150 in the 1930s. The girls similarly increased to the 190s by 191Othen fell to 163 in 1916, 146 in 1925 and 179 in 1928. The infants remained in the 80s, 90s and were over 100 in the 1920s and 30s. To meet increased numbers following elementary education becoming compulsory in the 1870s and to make separate teaching of classes easier several schemes of expansion took place. A new classroom was added by pulling the library down in the boys' school and in 1899 on the side of the school nearest Park Lane the original entrance of the 1838 building was removed and a new rectangular building added to the boys' school in Accrington brick, with the well known octagonal tower and weathercock. The original oak door was rehung at the new entrance and a Vernon crest with the motto "Vernon semper viret" (Vernon always thrives) was added with the date - still to be seen and kept in good order. To meet the standards of the new Rural District Sanitary Authority new toilets were added and better cloakrooms- Likewise in 1890 as the plan and date plaque on the building shows an additional rectangular classroom was added parallel to Park Lane, used probably for the infants who were also given a separate entrance and cloakroom. The girls also now took over the former infants part of the main hall and were given separate entrance and cloakroom. The Vernon family contributed to the cost of these extensions and also paid for the coal, gas (used for heating from the 1890s) and water supplied by the colliery. In 1894 the new Cheshire County assumed responsibility for the schools, supported still by government grants, in association with the school managers. Fees continued up till this time at the higher level of 3d per week and 2d a week for older children to encourage them to stay. In 1912 the new handicraft centre near Long Row was built partly with the aid of funds from Lady Bulkeley's Charity (see later) so that instruction could be given to older boys in woodwork and metalwork, and to girls in cookery, laundry and needlework. In 1929 the schools came to be no longer associated so much with the Church and were known as Poynton Council School with a differently constituted set of managers appointed partly by the County, partly by the Parish Council. By this time classes were of mixed sexes. There were increasing difficulties over sanitation, rat infestation, especially in the infants' area, and maintenance in the 1920s and 30s. The County therefore designed and built the more spacious Vernon Schools, opened in 1937. The former school bell now summons parishioners to church at St. Martins, Higher Poynton. It was originally the bell cast by Luke Ashton at Wigan in 1748 which reputedly hung from a tree and summoned people to the old chapel in Poynton Park. The schools were fortunate in having outstanding heads who had the difficult task of running a school with very small professional assistance which frequently changed and amateur help from the older children who acted as monitors. The long report gives a full list of the staff who are mentioned in the school logbooks now preserved at Chester from 1862.5 After John Seller there were two long periods of headship, first Frederick Lucas from about 1855 until 1882 whose devotion to work and concern led to failing health and death soon after retirement. Frequently the same staffs were responsible for the Sunday Schools and evening classes in the nineteenth century as well as extra work for the head training the pupil teachers, from 6.45 a.m. until 8.30 a.m. and again after school. Some assistance in the important religious side of the curriculum was given by the vicar or curate at Poynton. The boys' school head had some responsibility for the oversight of the girls' school. The inspector in 1862 commented: "The whole establishment is a striking proof much may be effected by an energetic School Master and teachers in face of characteristic deficiencies of a colliery population." Thomas Kelsey 1890-1926 received high praise in the reports of visiting inspectors - his attention to discipline, scripture teaching, painstaking work and maintenance of standards was praised. One of the miners interviewed said he was strict but "A good old fellow, one of the best, very keen on football and cricket". In the girls' school Frances Hill who previously worked at Sudbury at Lord Vernon's school, was head from 1879 until 1911 following a period when Miss Saull was head 1855-1872. A separate head was appointed for the infants from 1863 and Miss Saull was head of that for a time. Jessie Robinson succeeded Miss Hill until 1921 when Miss Alice Wilson took over until the days of the new Vernon School. It is interesting with the aid of the school log books to look at some of the main strands in the life of the Vernon Schools which certainly did their best within the climate of current knowledge on teaching methods. Their school life is remembered as important and successful by many of the miners interviewed. Gradually the battle for better literacy and numeracy was won, high praise being given impartially by both the diocesan inspectors from Chester who examined the religious teaching in Church of England schools, and Her Majesty's Inspectors who looked at the overall achievements. The holidays included Shrove Tuesday, and Ash Wednesday when the whole school, being a church school, attended services as well as several days at Easter, Whit, Christmas and New Year. The main summer holidays of three or four weeks after first being in late June and July were moved about 1904 to August because so many children were wanted at home for harvesting at this time. There were other special holidays for royal marriages and jubilees and comings of age, e.g. of G.W.H. Vernon in 1875. The Vernons held parties for the children at Christmas and gave them trees and oranges. Part of a typical page of the logbook of the boys' school is shown. Lady Vernon took an interest and visited the school to hear the children read, examine them in needlework and listen to their songs. Other benefactors such as Frederick Merttens gave the first of many teas in 1887 and there was a summer tea party followed by sports, when for instance in 1879 "200 sat down .... and the scholars headed by the Stockport Industrial School Band marched through the village .... in their neat dresses". By the 1920s Mr. Kelsey had arranged enterprising visits by school parties to the Wembley Exhibition in 1924, the railway works at Crewe and Liverpool Docks, while the girls went to Chester Cathedral. Parents' days and open days began when the school became a Council School. The school buildings were frequently used for concerts, evening meetings and clothing distribution, though the teachers complained next day of the awful smell of stale tobacco smoke. Attendances varied greatly first according to season because rain and heavy snowfall prevented children reaching school on foot - there was no public transport till the 1920s. Some arrived so wet they had to be sent home. Secondly there were frequently epidemics of infectious diseases such as measles, scarlet fever, whooping cough, diptheria and influenza, against which for most of our period there were no inoculations, and the schools had to close or have their holidays extended. There was much illness amongst the staff also. Local wakes festivals as well as calls by parents for work at home or on the farms kept children away. Attendance officers were mentioned from the 1880s. One boy was found to have been absent 51 times out of a possible 116 in 1887. An attempt was made in 1879 to charge an extra 1/2d for each absence without proper cause, at which a deputation of parents protested. Discipline was on the whole strict and the cane frequently used, though parents sometimes complained. In 1882 Lucas gives details of boys' offences punished by two to four strokes - "lying, being consistently late, coming with dirty hands and face, although water is put into the basins in the entrance long before school commences", stealing apples, repeated disobedience, damaging books and stealing another boy's necktie. The girls were also similarly punished - by the 1900s however it was becoming more of a last resort. It was the universal practice to divide the schools into five or six standards, although staff was not always sufficient to teach each standard separately. In arithmetic the work ranged in the boys' school in 1875 from simple counting in the infants' school through multiplication and long division to standards five and six, put together in Class One, wrestling with decimal fractions, simple proportion and mensuration. Reading caused most difficulty and unfavourable comment in reports e.g. in 1870: "Mr. Lucas should be careful to make his scholars understand and appreciate what they read". The local dialect caused problems in understanding. Many of the children who came up from the infants in the autumn "could not tell the alphabet" and parents frequently resisted the purchase of reading books (and in fact one girl left rather than buy a poetry book), and did not provide suitable conditions for the homework that was given. Spelling was particularly weak when pupils were asked to write on their slates. There were strong attempts to put over the formal structure of English grammar, e.g. a lesson on the adjective. Children were put together in large groups for drill, using dumbbells, partly in the playground, and for drawing and singing in the hail. The singing was popular and praised on inspection, the songs having a high moral content. The boys seem to have been good at geography and the girls at needlework. Sometimes girls brought their own work but one wonders what they thought of such entries in the logbook as "1873. Received 2% dozen of table napkins from Lady Vernon to be darned"! Religious and moral instruction formed a major part of each day and all staff were involved as well as the clergy, and the monitors who read the Bible. The following extract from a Diocesan report gives a good picture of the syllabus. 1898. "The school maitains the very creditable standard of Religious Instruction and Knowledge which distinguished it in former years. Evenly diffused intelligent knowledge of the sujects is a characteristic of the school. Ready and correct answers on the Scripture subject were given by a large proportion in each group. The repetition of Scripture, Catechism, Collects etc. was given with care and accuracy, and ready and correct answers were given on the different portions of the Catechism explained. The two lower groups had a full acquaintance with the Order and Signification of the Christian year and Group I were quite familiar with the Order and Structure of the first part of the Church Services. The Catechism written on slates was well done. Standard II deserves commendation for then very good slate work. The Scripture abstracts were all of good quality and carefully written. The Hymns were very nicely sung and their answers showed that they sung with the (sic) understanding also". The rather tedious mechanical repetition was enlivened in the later years by object lessons, e.g. on the flame of the candle, the telegraph or cotton and lessons on places in the neighbourhood e.g. the collieries. In 1898 an Oliver and Boyd's object box and copies of Cox and Co's object lessons were purchased along with maps of Cheshire and Europe and some photographs (geographical?) for use in the girls' school. All age groups by the 1910s were going out into the Park on nature rambles e.g. the infants in March 1915 "to see the crows building their nests". By the 1920s there were greater efforts to relate work to practical activities and to prepare children for the work they were likely to follow as adults. Then too reading was weak and in 1925 the inspector's report said "the speech of the boys is often coarse and inaccurate". The county provided lectures for girls in hygiene, e.g. feeding and the care of babies, personal health and first aid, and through its inspectors improved handicrafts, nature study and gardening. The well known author of gardening books, W.E.Shewell Cooper, then a county inspector, encouraged school gardening and later commended the work in the neat and orderly garden where it was well correlated with other subject work and diaries kept. The head was responsible for examinations and prizes were distributed annually, often by the Vernons for achievements and good attendance. When after the 1902 Act secondary education became more available Poynton schools began their creditable record for winning County Junior Scholarships to local secondary and grammar schools. The head was vigilant in not allowing children to leave for employment before the legal age in e.g. textile mills where under the half time system which operated till 1918 children could take part time off from school to work there. He also gave certificates enabling children to start work one year earlier in the mines as allowed in the Mines Regulations. The idea of voluntary evening schools was important in a community where new technical and office skills were a great help to men and women in finding better employment. Before this apprenticeship had been the main way of obtaining practical knowledge. There has survived at Chester6 such an indenture through which James Clayton obtained his valuable experience as an engineer in Poynton in the early days of steam power in 1823. He went on to work as an engineer in the collieries and raise a family. The Vernons and the colliery managers strongly supported the idea of a better educated and more contented community as well as one where better work was likely to be done by employees who were literate, numerate and some of whom understood the background technology of mining and the principles of book keeping and accountancy, as well as practical skills such as first aid, carpentry, needlework and cookery. There probably existed classes before the 1860s as evening school is mentioned in the log books as running from October to March 1863/4, where there were 67 attending. Summer classes were not successful as people were too busy with gardens and harvest. The same school staff conducted evening classes for a small extra fee (£5 added to £25 for an assistant teacher in 1880) and the head was in charge. In 1880 classes were held three nights a week at a cost of 3d per week per scholar. In the 1890s gardening and ambulance (or first aid) classes were added to general subjects. In 1889/90 23 out of 25 pupils received a certificate in first aid and were given a social evening. In 1891 ladies were offered high class cookery (20 ladies came to learn with a view to domestic service), plain cookery (22) and wood carving, the aim being according to Lady Vernon "to bring together class and class and bind them in a band of Christian sympathy". In 1899 ladies could take dress making, needlework and domestic economy, while men took shorthand, commercial arithmetic, bookkeeping, commercial geography, commercial correspondence, office routine, and principles of mining, elementary and advanced with drawing and workshop mathematics. By 1909 a formal committee chaired by G.C. Greenwell offered an even fuller programme with recreational elements such as nature study, "brushwork", singing and physical education. By 1914 five studentships were offered to promising students straight from school while others paid a deposit of 2s 6d, remitted for 95% attendance later. By 1918 the W.E.A. had its first branch in Poynton associated with the older Stockport branch and well attended courses arranged in association with Manchester University have continued to the present day. The Handicraft Centre was used for evening classes. There were also cultural societies in Poynton such as the Mutual Improvement Society in the 1870s, but these had rather a fitful existence. From the 19lOs private tutors were offering music instruction and pianoforte, and by the 1930s riding schools were serving the richer suburban community. The surviving evidence says little about the curriculum which no doubt included study of the Bible, appropriate forms of worship, and moral questions as well as Christian principles as soon as there was a strong enough foundation of literacy. But the great public events of the year are more fully described and often best remembered with affection by people we interviewed - Sunday school anniversaries or an annual treat in the summer on one of the local farms. Timothy Booth at Birches Farm and later Park House Farm was well disposed to all local Methodists. There were family get togethers at Easter, when for example the United Methodist children in 1880 "were sitting at the tables with beaming eyes and smiling faces as they viewed the huge plates of cake with which the tables were furnished, and then sang hymns and listened to Bible readings". Most colourful of all were the Whit walks conducted separately until 1921 when all joined together in a united procession. The following account gives a vivid picture of such a march in 1 909 when the Brass Band and teachers headed the procession, together with members of the Men's Bible Class. "The children earned baskets of flows and bouquets and in them becoming attire presented a pleasing appearance. On leaving the church the procession walked to Midway, and returned ta the school for tea. The Park was subsequently visited and games and races indulged in for which prizes were given. The sack and egg and spoon races caused much amusement .... the proceedings closed with the singing of a hymn". By 1935 600 children were taking part in the united procession. In this section the story is told of measures to improve provision for the problems of poverty, sickness and old age. These were taken partly by the official state and local system, partly by the voluntary efforts of the Vernon family, the churches and the community itself. It was the responsibility of the Overseers of the Poor working under the guidance of churchwardens and JPs to look after the poor and aged under the long established Elizabethan system. Two almshouses had been established at Poynton Green and Dig Green (Fleetbank Farm area) by 1770. A House of Correction had been established near Middlewood Road for those who were fit but considered idle since they were not working. Poor people from other townships who strayed into Poynton or Worth were sent back to their parishes or townships of origin. Resident poor, sick and aged people were aided from the poor rate and by charities associated with the Church such as Roger Holland's established in 1694 11 by which 5s was available each year to be paid in December to "old and sickly persons, widows and persons having large families". Settlement certificates survive by which Poynton township guaranteed to look after one of its own people if he fell into poverty elsewhere. Because of huge increases in industrial populations and the unemployment caused by trade fluctuations and depressions the old poor law had to be replaced from 1834 by a new system in which townships such as Poynton and Worth joined all those in a group of parishes and chapelries round Macclesfieid to form one of the new Unions. The energetic John May (see Stella Davies' book)12 assisted by Guardians elected from each area, and the voluntary Overseers in each township, soon greatly improved the workhouse provision in Macclesfield and because of industrial slumps continued to give relief in kind and in money, especially in Macclesfield itself. The new poor law was intended to correct the demoralisation of financial and outdoor relief by much sterner removal of paupers to workhouses, but in fact the surviving accounts of the Poynton and Worth Overseers13 (12 in 1863) show out relief continuing, but some being taken to the new Macclesfield area workhouse. As Poynton's population increased so did burials and the Chapel from 1840 was allowed to bury its own people to avoid congestion at the mother church of the large parish of Prestbury. Although as we shall see there were strong local voluntary efforts to assist with problems of poverty and health, it gradually became clear that these efforts were not enough and the Poor Law Medical Officers had to become general practitioners to those who could not afford a doctor. For instance after the invention of smallpox vaccination from 1 798 and a law in 1853 requiring the protection of all infants the Guardians had to administer this service, and add strong medical services in the workhouses which eventually developed into hospitals e.g. West Park. Voluntary hospitals and dispensaries did their best to serve increasing numbers of patients who could not afford to pay local doctors. Old fashioned remedies continued to be tried right into modern times in the homes, and many miners who were subject to bronchitis, pneumonia and minor injuries to limbs and back enjoyed (or suffered) the application of hot poultices of onions or figs, or goose grease to throat and chest, camphorated oil and mustard plasters, and doses of flowers of sulphur, gregory powder and herbal remedies while children were given gin or Godfrey's Cordial to keep them quiet. The early burial records show a very heavy infant mortality - from 1840-50 24% of burials were of infants under one. From 1872 the Macclesfield Rural District Sanitary Board (from 1894 the Rural District Council) took some responsibility for health services. The records14 show for example Joseph Alien as Medical Officer for the Poynton, Adlington and Bollington District investigating a serious outbreak of scarlet fever in Poynton and his district. The schools were closed, Lord Vernon offered a cottage as an isolation hospital, and better ventilation and disinfection was recommended. After this the Union appointed its own M.O.H. Following the many serious outbreaks of disease and problems of sanitation all new housing had to have his appproval, and abattoirs, bakeries, and school toilets were inspected. District nursing services also began to be appealed for. He also insisted on the improvements in water supply, sanitation and housing conditions already described. In 1911 the National Insurance scheme provided medical treatment to working men and women through doctors' panels to supplement the services of friendly societies, insurance schemes and miners' accident societies. Eventually with the serious problems of large scale unemployment in the 1920s the Poor Law Unions were finally abolished in 1929, their powers transferred to local authorities and the whole mixed system of health services was finally brought under unified control by the National Health Act in 1948. Turning now to the local voluntary efforts in this field the most important charitable foundation was this charity set up in 1826 at her death by Viscountess Warren-Bulkeley who inherited the Poynton and Worth estates from Sir George Warren in 1801. Besides bequests to Stockport she also gave sums of £1000 for Poynton and £500 for Worth to be suitably invested for the benefit of the poor. The records of this charity15 survive from 1828 to date and a full account is included in our long report. In the period up to 1891 the money was used under the supervision of successive ministers of the chapel and church to provide clothing for the poor, for example bonnets, boys' "dresses", men's suits (made by John Fletcher, tailor) cloaks and dresses for girls (made by Sarah Wood, dressmaker), stockings, aprons and jackets. Bedding was also provided and financial help at times of illness or accident; widows and orphans were assisted in cooperation with the Overseers. Blind people, imbeciles, deaf and dumb, and those needing hospital treatment were given financial or material help. The accounts cover purchases of food as well as clothing material purchased for relief purposes. The following are examples from the 1841 accounts. Widow Needham, son burned to death in a coalpit 2s 6d, J. Barlow, clothing and stockings £3 9s 2d, Jacob Haworth's widow 2s 6d, J. Baily (grocer), flour, bread and bacon £2 16s 6d. After the setting up of almshouses (see later) in 1854 some payments began to be made to inmates. As the Accident Society took more responsibility so in the 1860s, 70s and 80s this charity turned its attention more to the provision of milk and meat to improve the diet of the needy, as well as clothing, and more advanced medical help, e.g. an artificial arm and a truss, tickets to get to convalescent homes in Southport and Buxton, and payment for the attendance of trained nurses and doctors. Christmas dinners were provided for the poor and occasionally school fees paid. In 1891 following an investigation a revised constitution was agreed with the Charity Commissioners involving a larger group of more representative Trustees and dividing the income from the charity into two main divisions - part for eleemosynary - or general welfare - purposes, and part for educational purposes, which were more clearly defined. The first part allowed all the types of relief already mentioned and allowed payments to outside institutions such as convalescent homes, hospitals, working men's societies and clubs for assistance given. The educational function included prizes of not more than £1 for children who had attended at least two years at a public elementary school and prizes of not more than £5 for those with five years attendance to encourage them to stay at school. The income available annually from investment was £52, one third of which was used educationally. Relief continued on similar lines including special help to women and children during miners' strikes, and many Christmas gifts of 5s to the needy. During the depression of the late 1920s and 30s 70-80 people received the dole. The educational function included the award of small scholarships for children to continue education at grammar schools, teacher training college and forms of technical training e.g. in gardening. In 1912 the Trust obtained the agreement of the Board of Education to use half the capital to build a better centre in which boys could be taught metalwork and carpentry and girls cookery, laundry and needlework. Large rectangular rooms were provided for each group with a store and teachers' and pupils' lavatories built at a cost of £560, Lord Vernon adding £100 and Poynton Schools £50 to the £410 provided by the Trust. The estate and colliery staff did the work more cheaply than a local builder. Gas was supplied for heating and cooking and the centre functioned successfully apart from an interval during the war until the new Vernon Schools no longer required it after 1936. It was then used by Toc H, as an ARP First Aid Post, school clinic 1946-1970s and has now been converted for use by the Working Men's Club. The depleted funds were gradually replaced. Schools continued to be supported by provision of sports equipment, helping with a piano for the boys and trips by the girls to Music Festivals in Blackpool and to plays, school equipment and books for the library, and the showing of a film of an Everest ascent. Thus in a remarkable way the original purposes of Lady Bulkeley's will have continued to be observed with the administration by the Vernon family, devoted clergy, colliery officials and many lay Trustees. The various Lord Vernons besides the work already described subscribed to many charities in Poynton and Stockport and also distributed free coal in the early period and during the cotton famine to the needy of Poynton and Stockport. The following list for the year 1893 is typical of the later period when sums of up to £700 in total were given. Of course the Vernons enjoyed considerable profits from them mining, e.g. an average of over £17,000 1865-7 1, some of which was used to improve their main home at Sudbury and their workers' conditions there as well as to help their workers in Poynton. They themselves as well as their senior colliery management played a full part in charitable and local government work. Another benefactor was Frederick Merttens, a Manchester general commission and shipping merchant who lived first at Birches Farm in the late 1880s and then at Clumber Cottage. In 1895, he provided £100 to produce an income of £5 with which to assist sickly and delicate poor children who were residents in Poynton to take holidays at the seaside. He also gave "capital sandwich teas" to 500 or 600 local youngsters followed by entertainments every winter in the 1890s, and in 1932 gave a further sum of £256 to continue the provision of travelling expenses or board and lodging at the seaside for poor children under 16 with a parent or guardian accompanying them, where a doctor thought this would be beneficial. This charity continues, administered by the Parish Council. 1st William Wharton, aged 69 years; he worked as a collier for 40 years, but accidentally sustaincd a serious injury to his leg in the mine, and in consequence of which it had to be amputated, but he is now employed at easy work, at 1s 6d per day. 2nd Samuel Fletcher, aged 68 years; has worked as a collier for 38 years, and as a labourer for 12 years, and he is now employed to clean and trim the Davey's safety lamps, at 2s 0d per day. 4th James Ridgway, aged 80 years; has worked as a banksman and on this colliery for 73 years, and is employed, at easy work, for 1s 6d per day. 5th James Lloyd, aged 64 years; has worked as a collier for 56 years, and is employed in sorting coals, at 1s 6d per day. The two storied houses in pleasant brick in Gothic style were built in 1854 in three groups of two with gardens and a central grassed area in the middle of which a stone, now badly flaked, commemorates the event. The list of the elderly inhabitants in the 1871 census shows relatives and boarders living with them. This charitv has continued right till the present day. When the Vernon help in maintenance disappeared the Parochial Church Council took over administration but from 1952 a new charity was set up by the Church and the Rural District Council to which Lord Vernon gave £100. This Trust now administers the houses for which a reasonable rent may be required. In 1959 the buildings were substantially restored and modernised e.g. by the addition of bathrooms with the aid of a loan from the Rural District Council. Reading room and library c1900.
" THE READING ROOM AND LIBRARY In no village of the same size and importance in the county can be found a nicer little reading room and library than the one at Poynton. The visitor can scarcely fail to be struck with admiration at the air of neatness and order that reigns in and around this most useful Institution. The building itself is a pattern of what such places ought to be, while the internal arrangements are of the most exemplary character. And the villagers themselves, hardy sons of toil though the majority of them may be, seem heartily to appreciate this little retired corner of mutual enjoyment, for at any time of the day or evening there never can be found the slightest evidence of that rough and tumble appearance which far too often characterises institutions of this description that are frequented by the masses. We we glad to hear that the Reading Room and Library are in a flourishing condition, and there is every prospect of them long remaining so, and of their still conferring their priceless benefits on the inhabitants." 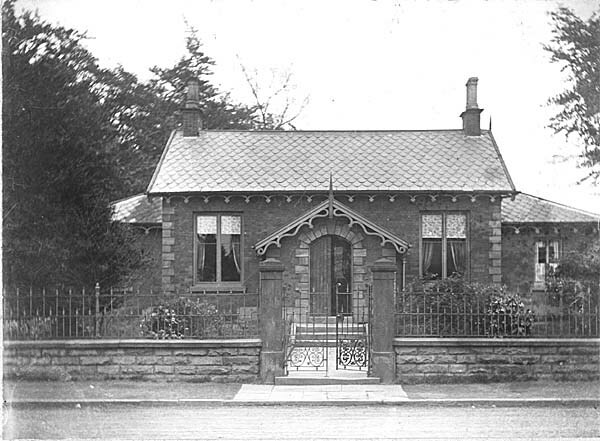 By 1895 a second small library was added at Hockley for the convenience of miners there. These institutions and their successive librarians served the miners well until the First World War. Soon after the sale of the Vernon Estate in 1921 the library and reading room, then reduced to 800 volumes, was offered for sale though it appears it was later withdrawn. The building was retained by Lord Vernon and converted into cottages with the addition of an upper floor and dormer windows, but the books and furniture were offered to other institutions - the schools receiving books and bookcases and some of the furniture going to the new Working Men's Club, and the residue being sold. Hockley Library seems to have closed still earlier. After the war the counties took on responsibility for public libraries and Poynton's original library was succeeded by Cheshire County Libraries which was created by the 1920 Libraries Act and by 1939 had started a branch at the Council Offices in Park Lane (near Long Row), later superseded by the new library opened on its present site in 1969. The Poynton Library seems to compare favourably with others set up in colliery districts by coal owners who wanted not only to encourage self advancement and education, but also to offer an alternative leisure pursuit to drinking which led to much inefficiency and absenteeism. Mechanics Institutes were created for similar reasons in the bigger towns, and one was established in Hazel Grove from 1868 which had a new building in 1871 and a Secretary and Librarian in the 1870s. "They assembled at the M, S and L. station at 6 o'clock in the morning and were accompanied by the brass band conducted by Mr. Durham. At their head was a large banner, in which the eight hour and 12 hour systems were displayed on one side, and on the reverse "Moses striking the rock". They made a really good show. The place of assembly on reaching Southport was on the sands, and there they joined the Ashton District Miners' Association, one of the oldest societies in the kingdom .... The people were neatly dressed, well behaved and good humoured. They reached home about ten o'clock all having spent an agreeable and satisfactory day." On one such occasion they listened to Keir Hardy, pioneer of the Labour Party. Some trips also were organised in charabancs. "POYNTON HORTICULTURAL SOCIETY. Poynton holds its 28th annual flower show today and tomorrow. The park, by the lakeside, is again the delightful site chosen for the show, and that fact alone imparts additional interest and attractiveness. An admirable exhibition is promised, and with sunny weather there ought to be a large attendance. A sum of £130 is offered in prizes. Three bands are engaged, Poynton Silver Band supplying the music today (Friday) and Irwell Springs and Hazel Grove Bands alternately on Saturday. The open air entertainment will include feats of hand balancing and comedy acrobatics by Messrs. Cullen and Hart, and Karl Hooley will appear in his ventriloquial sketches and mimicry. There will also, as heretofore, be archery, boating and dancing, with a grand display of fireworks at dusk". By 1913 a fair had established itself alongside the show in a field off Park Lane and lasting for three days - later described with affection by Mrs. Joan Dicken in the Poynton Local History Society Newsletter No. 5. The show continued very successfully throughout the 1920s and 30s in Poynton Park which was purchased by Cheshire County Council in 1935 and is fortunately to remain a permanent recreational area. Other local wakes festivals attracted visitors at their own special times, e.g. Macclesfield's Barnaby Fair in June and Stockport Wakes in August. "October 29th 1897. Poynton Band Balance Sheet. Balance in hand, £1 9s 2d. The receipts include a loan of £40 borrowed for uniforms which cost £1 6s 6d. Public subscriptions £24 0s 9d. Members £6 18s 6d. Engagements £23 15s 0d. Prize draw £21 15s 0d. New members entrance fees 10s. Mr F. Durham £1. Contest Prize 10s 6d. Expenditure apart from uniforms Mr T. Valentine for tuition £1 17s 6d Music £4 9s 1d. Paid to members £37 18s 0d. Printing, postage and stationery £1 1s 5d. Present toSecreatry and Treasures 14s. Entrance to Stockport contest 10s 6d. The Trustees are Lord Vernon, Rev. T. Bridge, H. Mottershead, Bandmaster James Richardson, Secretary H. Mottershead, Treasurer H. Broadbent, Caretaker & Librarian John Mottershead" and 12 Commitee members. From then on the Band entertained on many Poynton occasions as well as fulfilling engagements outside e.g. at shows, Sunday school and Friendly Society processions, miners' rallies at Southport and cricket matches. It has always been closely associated with the Working Men's Club and in 1981 acquired the former Clumber Road Methodist Church as its headquarters. Recently it has had great success in national contests. In the early twentieth century for a number of years there were also a String Band, a Silver Band and a Choral Society. For entertainment many people travelled to see the music halls in Stockport and theatres at Stockport and Macclesfield. Poynton's own Players were formed first in 1935. Cinema began in Stockport in 1897 with a bioscope show in the Grand Theatre and by 1911 Poyntonians could go to see the miraculous moving pictures (no sound) at the Electric and the Princes Picture Houses. Poynton's first cinema (now the Roman Catholic Church) in Bulkeley Road was built in 1922 and had to have its own generator to provide light for the projector, powered by a Ruston gas engine as there was no public supply till the 1930s. After this cinema had closed just before the Second World War, another cinema on London Road South, where Brookfield Motors and the Arena Gym are now, was opened. A great variety of sports was followed by the male community. In the early days horse races were held at Hazel Grove and from 1828 at Macclesfield in June but with the coming of railways the sport concentrated at the bigger centres such as Kersal Moor, later Castle Irwell in Salford. Coursing, shooting and especially fishing were popular. Poynton Pool, Garman Pool before it was drained, and the canal after 1831 were the scene of fishing by many local societies as well as some individual Poyntonians - roach, perch and bream are reported in the newspapers. Cricket is mentioned by Osborne in the area in 1840 with excellent clubs at Macclesfield and Knutsford. As longer holidays and Saturday afternoons became available a flourishing Poynton Cricket Club developed in the 18805, which could afford its first pavilion at its present site in 1889. By 1893 the first team had 21 fixtures and the second 18. Games were played in the Hazel Grove and District League. In 1907 bowling with its own green and in 1912 tennis were added to the amenities. Further ground was acquired and a tennis pavilion was built in 1925. Tennis courts were also made available off Green Lane in Higher Poynton. Poynton bowling team or "trundlers" travelled widely in the district and by 1915 there is mention of competition for the Clayton Cup Handicap- In the winter from 1907 the cricket ground was used for lacrosse. Football started in 1893 on a ground near the Vernon Arms. It was encouraged by Lord Vernon in the schools - every year the Poynton boys played the boys from his other school in Sudbury at either place alternately at both cricket and football. "FOOTBALLERS' SOCIAL. On Saturday evening last a most successful social took place in Lord Vernon's Schools, promoted by the Poynton Amateurs' Football Club, which was largely attended. Mr. Jos. Daniels sang in his usual style "Back from the land of yesterday", "I passed by your window", "The kingdom within your eyes". Dancing was indulged in during the evening. The pianist was Miss E H. Cooke, and the violinist was Mr, Leonard Ports. Mr. Albert Clayton acted as M.C. Refreshments were provided at the intervals by the ladies. Pigeon racing was another sport popular in Poynton first mentioned in 1897. A Homing Society was formed in 1898 which held shows and socials as well as racing birds from as far away as Marennes in South France, 523 miles from home - but only two Poynton birds reached home. Captain and Lady Anson at the Towers were keep promoters of sport. For instance they paid for the building of a miniature indoor rifle range of 25 yards including a recreation room, armoury and gymnasium in 1905 at Povnton Green. This flourished until the First World War. By the 1890s there was a strong outdoor leisure movement which brought many walkers and cyclists to Middlewood and Poynton following in the footsteps of the many botanical societies and field clubs, (see Grindon's book18), who came to see the flora, fauna and geology of the area. Many of the farmers' wives offered teas, milk and other refreshments to the large number of visitors on foot or by bus at summer holiday times. A cafe and tea room were also set up in Park Lane, London Road and Correction Brow, Middlewood, and in Norbury Hollow in the 1910s a fair and stalls took place on Good Friday to entertain visitors. Many farmers offered picnic sites to the Sunday Schools or for Scout and Guide camps. Some local miners were also fond of walking for pleasure. One we interviewed thought nothing of a walk to Buxton at the weekend. Popular guides such as Macauley's19 included several walks in the district, and advertised suitable equipment. For its size Poynton had and still has a remarkable number of societies and institutions concerned with welfare and leisure interests. 1. Benson, J, British coalminers in the nineteenth century, Gill and Macmillan, 1980. 2. Walton, R, Poynton Collieries; social history, MS in Poynton Library. 4. Osborne, G.Y. Sketch of the Parish of Prestbury, 1840. 5. Vernon School Logbooks preserved at CRO. Boys 1862-1937, Girls 1862-1954, Infants 1912-1937; Vernon County Junior Schools. Managers' Minutes from 1929. SL 111/2 CRO. 6. Apprenticeship indenture of John Clayton, 1823. DDX 421/1 CRO. 7. Park Lane United Methodist Church Jubilee history, 1837-97. 8. Clumber Road Methodist Church, 1879-1979. 9. St George's Church, Poynton. Parish Magazines at the church. 10. Abundant harvest; Baptist Church, Poynton, history 1860-1970. 11. Charity Commissioners' 31st report. County of Chester. H.M.S.O., 1837. 12. Davies, C.S. A history of Macclesfield. E.J. Morten, 1976. 13. Poynton Overseers of the Poor. Accounts 1846-1878. PC20/2 CRO. 14. Macclesfield Rural Sanitary Authority, Minutes. LRM 2472 CRO. 15. Lady Bulkeley's Charity. Minute kbooks and accounts, 1828-1962. D2940 CRO. 16. Poynton and Worth Almhouses. Printed Report, Subscription List and documents at their foundation In 1854. Stockport Library. 17. Williams, N. Poynton Sports Club, 1885-1985. 18. Grindon, L. Summer rambles in Cheshire, Derbyshire, Lancashire and Yorkshire. Palmer and Howe, 1866. 19. Macauley, J. Sixty country walks by path and field within easy reach of Manchester. Evening Chronicle. 1929.